5. Go smoke-free. Smoking can be a tough habit to kick. If that’s true for you, get help to quit for good. Remember, even second-hand smoke isn’t harmless. If your doctor gives you medication for high blood pressure, take it exactly as prescribed. But be patient. It can take a while to get your numbers where they need to be. You may also need to try more than one medicine. There are many classes of high blood pressure drugs, and it can get confusing. As you know, I’m here as a resource. You can’t feel blood pressure, so there’s only one way to know if medicine or a lifestyle change is working: consider buying a blood pressure cuff from our store so you can regularly check your blood pressure. 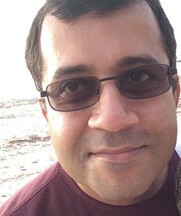 Zahir resides in Dover, DE with his wife and son. He has more than 10 years’ experience as a pharmacist working in different positions, including as a district manager. He is passionate about the profession and utilizes his knowledge to help patients with their pharmacy needs and questions. 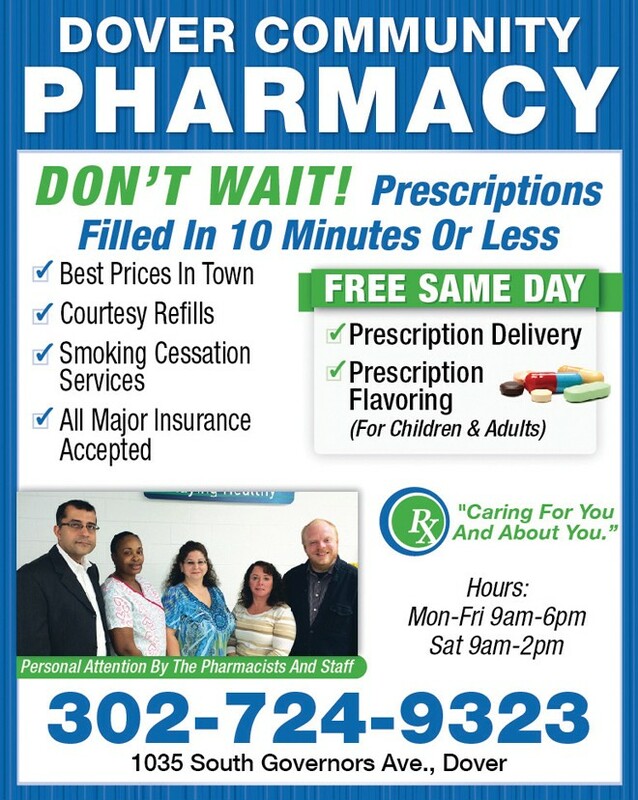 Dover Community Pharmacy is located at 1035 South Governors Ave, Dover DE, with plenty of parking and easy access. Visit Dover Community Pharmacy. Let Zahir and his team get to know you personally, and help you live a healthier life. Mayo Clinic: “High blood pressure dangers: Hypertension’s effects on your body.” Available at: http://www.mayoclinic.org/diseases-conditions/high-blood-pressure/in-depth/high-blood-pressure/art-20045868 Accessed October 23, 2014. Merckengage: “What Is High Blood Pressure?” Available at: http://www.merckengage.com/common/article.aspx?id=528 Accessed October 23, 2014. WebMD: “Causes of High Blood Pressure.” Available at: http://www.webmd.com/hypertension-high-blood-pressure/guide/blood-pressure-causes Accessed October 23, 2014. Mayo Clinic: “10 ways to control high blood pressure without medication.” Available at: http://www.mayoclinic.org/diseases-conditions/high-blood-pressure/in-depth/high-blood-pressure/art-20046974 Accessed October 23, 2014. AHA: “Small weight gain can raise blood pressure in healthy adults.” Available at: http://newsroom.heart.org/news/small-weight-gain-can-raise-blood-pressure-in-healthy-adults Accessed October 23, 2014. AHA: “Keeping High Blood Pressure Under Control.” Available at: http://www.heart.org/HEARTORG/Conditions/HighBloodPressure/PreventionTreatmentofHighBloodPressure/Keeping-High-Blood-Pressure-Under-Control_UCM_460131_Article.jsp Accessed October 23, 2014. Next Story → Timing Is Everything, Even When Enjoying Your Favorite Foods.